It may occur to you that you are spending a lot of time baffled over the labels of supplements, when instead you could be working on achieving your goals faster and more efficient. You are trying to find the right product to help you, but trial and error is simply becoming tedious. If you could just buy a product knowing that it works and is worth your money, then life would be so much easier! This is why we have made reviews to assist you in your purchasing decision. There is no need to try and understand all the different ingredients and formulas – we have put the information together for you! Universal Nutrition have created a powdered formula Animal Test said to be one of the best testosterone boosters within today’s market. By counteracting the production of estrogen (the female hormone) and instead allowing for the higher production of testosterone, (the male hormone,) this supplement is said to help create bigger and leaner muscles and increase strength and energy. The company also state that you will experience quicker a recovery period. All of the ingredients within this formula have been specially designed to help the process of body building. 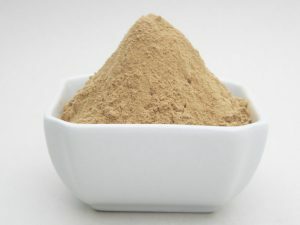 3,4 Divanillyl Tetrahydrofuran, Yohimbe, Trans Reservatrol with Hesperetin, 6′,7′ Dihydroxybergamottin and Patented Bioperine and Arachidonic Acid are what make up this product. To enhance the androgen receptor sensitivity which boosts muscle development is the most prominent substance – Arachidonic Acid, which is released when stimulated by the anabolic state of the body caused by sweating during a training session. Muscles are affected by inflammation and growth during the increase of blood circulation, the production of testosterone and fat burning. Ketosterones from Cissus Quadrangulus are anabolic and are paired with Divanillyl Tetrahydrofuran which regulate the male hormone, while Trans Reservatrol with Hesperetin works to reduce the production of the female hormone and block its circulation. Patented Bioperine and Dihydroxybergamottin are useful for helping the body absorb nutrients. 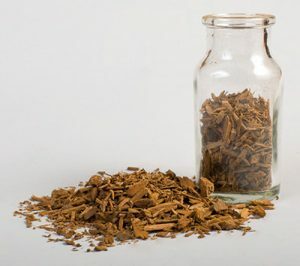 To have a significant impact on sexual performance and the libido there is also the Yohimbe bark extract. Unfortunately, side effects such as dizziness, high blood pressure, nausea and insomnia have all been linked to the active ingredient Yohimbe – so please take good care with this product. If you are happy with taking a product without a free trial option, then you can purchase 21 packs for $78.28. The price is steep when each packet is a daily dose and the effects are said to be noticeable after 42 days of consumption. All in all, this product may be good for some – but it winds up being extremely expensive for a short time period and there are better options that will do the same job and save you cash. Xtreme Testosterone is the number one leading brand of today’s holistic market and does not contain Yohimbe. Instead, this male hormone enhancement uses natural herbs Horny Goat Weed and Tongkat Ali, which have zero reports of incurring nasty symptoms. All for a jaw dropping price tag of $19.95 for a month’s supply! Optimum Nutrition ZMA: Is it worth investing?